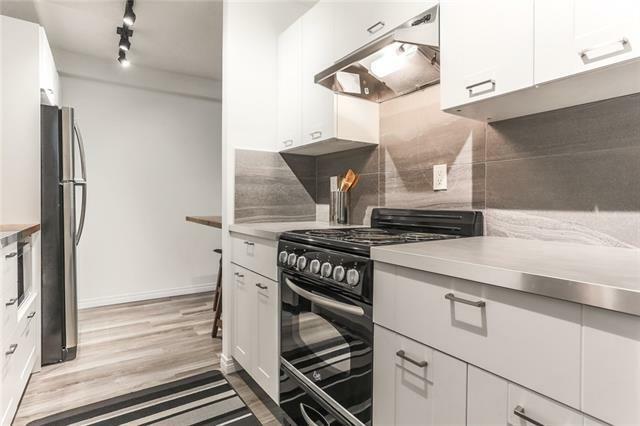 Why rent when you can buy a completely renovated condo at this price range? 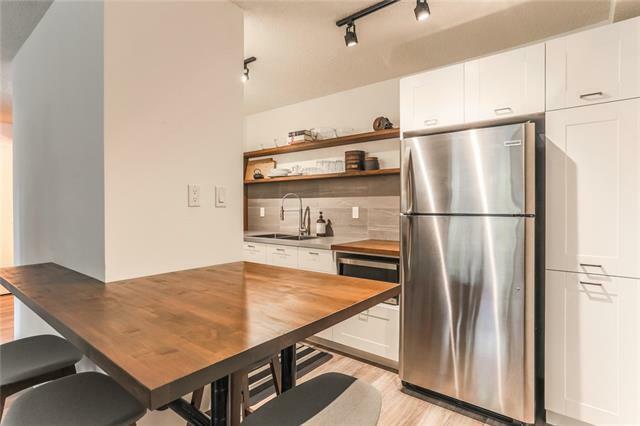 Located in a great building (CMHC approved), on a quiet street in the desirable community of Crescent Heights! Big bright new windows and timeless oak grey vinyl plank throughout! 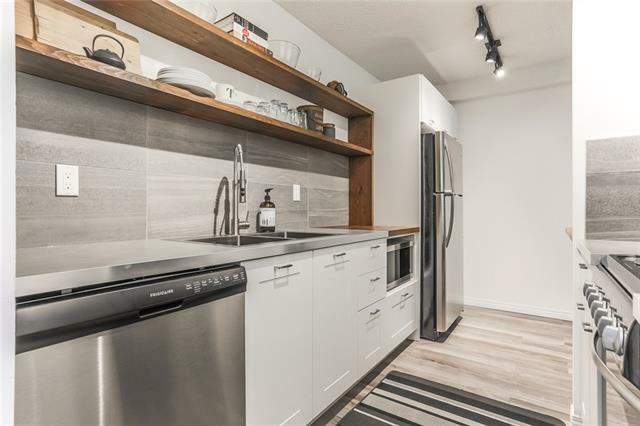 Gorgeous kitchen with crisp white and open wood cabinetry, sleek stainless steel and acacia wood butcher block counters, tile backsplash, upgraded stainless steel appliances, and open eating bar. Large living room with picture window and lots of room for any size furniture. Good sized master bedroom with double closet. Stunning custom barn style door to the new spa-like 4piece bathroom with soaker tub with tile surround and modern floating vanity with lots of counter space. 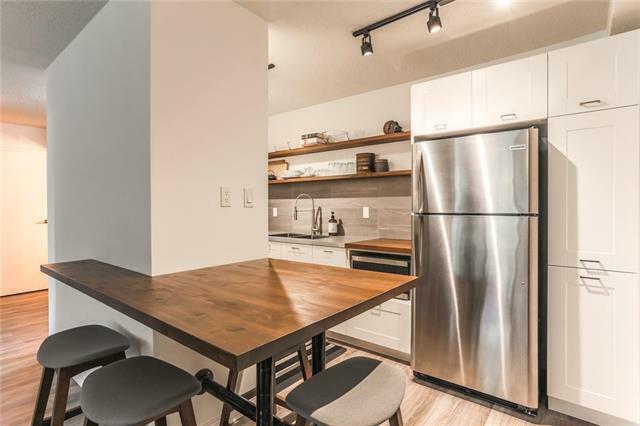 A good sized storageroom and outside parking stall (#106)! Minutes to DT! Building has been updated with new roof, new siding, new windows and other common area improvements. The square footage is below grade.